If it’s starting to feel like renting in the UK is almost too expensive then figures released by the Office of National Statistics last week aren’t going to make it feel any more manageable. These official figures showed that rents for private tenants in the UK increased 2.1% in the year to March – that’s a figure that represents the highest rent increase in more than 18 months. So, if you’re currently feeling the pinch as a tenant then that might well be why. 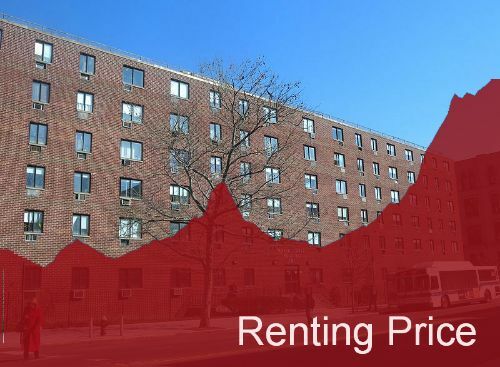 Rental prices are rising so fast that it might almost be funny (if it wasn’t painful for those of us stuck in the rental sector) and the rate of increase has been such that it has even put the issue on the general election agenda. The increase revealed by the ONS has been driven by figures shooting up in London and across the southeast of the country – rents in the capital have increased a whopping 3.2% over the course of the last year, and in the southeast 2.3%. However, it’s not just this property hot spot that has seen an increase, as rents rose all across the UK, for example Scotland saw increases of 2.1%. One of the major reasons for rising rents is of course the demand for each property – landlords are finding that the market is so busy that tenants will pay well above what they would have been willing to several years ago. The online rentals website spareroom.co.uk said that in London competition was so fierce that there were roughly 13 tenants for a single property each time one went on the market. This is being driven by factors that we have blogged about here before, such as the ongoing housing shortage and the fact that many people have simply been priced out of the buyer’s market by house prices that continue to rise. This has not been helped by the expansion of the buy to let sector, which has taken properties off the market that might otherwise have been for sale, further reducing the number of available to buy properties, and also making those that are available more expensive. Although this should perhaps have helped to stabilise rents by offering more choice of properties to rent, the demand is such that this simply hasn’t happened. In 2014 20% of homes in England were privately rented and, while that might not seem to be a huge figure, it’s double what it was in 2002. If that rate of growth continues – while house building remains at the same pathetic pace – then the current situation is only likely to get much worse. The impractical state of the rental market in the UK is something we have covered before on this blog, and no doubt will again – and we’re not the only ones. It’s fast becoming apparent that there’s a bit of a crisis looming if rents continue to go up at above inflation rates, new house building doesn’t drastically increase and social housing gets sold off. What that means for individual tenants, as well as for the wider UK economy remains to be seen.